Time has been flying by, as it's known to do, and I realized that I have not posted about our journey, seeing Dr. Xiu-Min Li, in private practice. We recently had our in-person, follow-up appointment in New York, which reminded me that I wanted to provide an update. Bear with me as I try to summarize these past 18 months! FAHF-2 (FAHF = Food Allergy Herbal Formula) and its latest refinement, B-FAHF-2 (Butanol-refined) are Investigational New Drugs (INDs) that are undergoing trials en route to FDA approval. 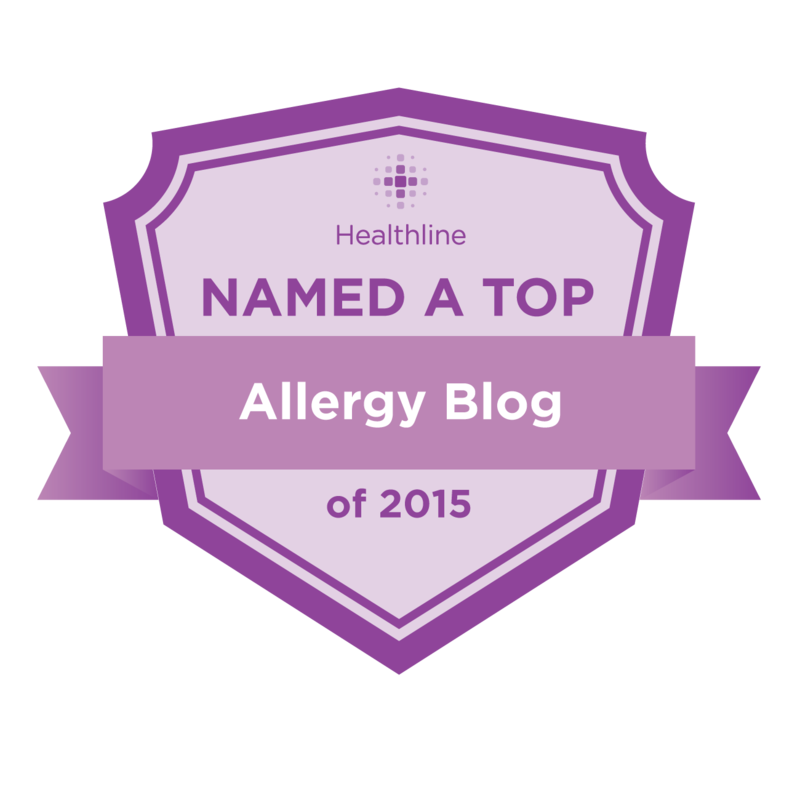 FAHF-2 has been shown to completely block peanut anaphylaxis in murine (mouse) models and has a proven safety profile in humans. FAHF, ASHMI, and other medicines are making their way through the FDA approval process. In the meantime, Dr. Li’s limited private practice uses a collection of herbal supplements for the treatment of patients with a wide variety of atopic conditions. These come in the form of tablets, capsules, teas, bath additives and creams. Getting the active compounds into the system via multiple routes (digestive system, skin) offers a greater chance at optimal absorption and uptake into the cells. Dr. Li is a supporter of combined therapeutic approaches. Though the majority of her patients are seeing her, exclusively, she has many patients concurrently undergoing OIT, SLIT, etc. She is working with other researchers, such as Dr. Kari Nadeau, to study the synergistic effects of therapies. We definitely went through an adjustment period. I'd say it took a good 6 months for us to get to a speedy routine for pill taking. I believe this was mainly due to the fact that she could not swallow the pills. In the early months, we sat with her pleading, and sometimes even bribing her to take her herbs. There were some days when it took her an hour and a half to get them all down, due to stalling tactics! I made up so many random "games" to get her through the herb-taking process. She was only 5 at the time, and I am amazed at her ability to get it all done, despite the stalling. We're about 18 months into treatment and she has only missed a handful of doses. 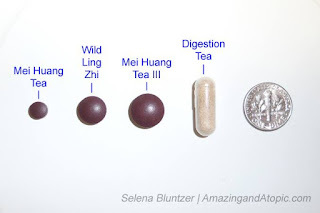 Along the way, my daughter learned to swallow pills and that greatly improved the whole process, though she still takes capsuled items as teas, with apple juice. The bath and creams process takes about 30 minutes, since bath soaking time is 15-20 minutes, nightly. Luckily, my daughter has always worn long sleeves and long pant pajamas, so the creams haven't caused a problem with furniture or anything. There is certainly a lot to the protocol, but after a while, it becomes part of the daily routine. We have monthly or bi-monthly phone consultations, where we go over progress and Dr. Li makes any needed changes to the protocol. In private practice, there is a lot of tweaking and customization. This is definitely personalized medicine! Calls are usually very brief (about 15 minutes) but with some planning, it all gets covered. I typically write up a list of what items we're currently taking, how much I have of each item, and a bullet-point list of things I want to remember to ask/tell her about. The first 6 months of treatment involved slowly ramping up to the full set of items, at full-dose quantities based on her weight and age at the time. So, for our particular case (everything is case-by-case and we can't really make any generalizations) we did our first set of labs at the 1-year-mark by the calendar, but it was closer to 6 months on "full dosing". When we got those first labs back, I was so happy to see that all of her IgE values had dropped! There was only one that made a tiny increase, which I will explain under the "Ara h" peanut component chart. Total IgE (not charted) has basically remained the same, but I am not really concerned, given that Dr. Li is not concerned. IgE tends to trend upward as a child ages, so only a little movement is good. I am definitely happy to see the continued drops in IgE. The foods, above, are not all that were tested, but they are the ones for which I have a baseline/pre-treatment value and a recent value for comparison. My daughter's IgE values were falling pre-treatment, but I feel that the drops during treatment are more "meaningful" in the sense that there are other changes going on at the cellular level that can help these positive changes turn into more complete healing, rather than just the drop in IgE that can come from strict avoidance, alone. Below I have a chart of the peanut "Ara h" components. The thing about these results is that I only had them done once, before, in 2012, and then again, this past June of 2015. Therefore, I can't say this is completely within the "Dr. Li Treatment" time frame, but I was still amazed by the drops. Ara hs 1, 3, and 8 went from low values to "<0.10" and Ara h2 dropped 73%, down to 9.81. 2012-2015 Ara h Values - Can't completely attribute to treatment, but I'm guessing it was a decent part of it! The only anomaly in this whole thing was her Ara h 9 value. It was previously "<0.10" and is now 0.21. I was perplexed by this one, since it was the only value that went up and is the Lipid Transfer Protein (LTP) which can be linked to several foods. I really think this might have something to do with the fact that my daughter recently starting eating apples on a daily basis. The LTP section of the Phadia site reads, "Ara h 9 shares 60-70% amino sequence identity with LTPs from a number of commonly consumed foods, including peach, apple, pear, plum, cherry, hazelnut, lentils, sunflower, beans, chestnut and strawberry." My daughter can eat the fruits in bold without any OAS issues or any problems, so it doesn't seem to be an issue, so far. She just hasn't eaten the others for me to know how she'd do with them. I must say, though, that I was really amazed when she ate plum, for the first time, a couple of weeks ago, and it didn't bother her one bit. No itchy mouth, no rash, etc. It's not that she reacted to them in the past, or anything, but I get an itchy mouth, myself, and a weird change in my tongue texture when I eat certain fruits, so I see them as "irritating," and plums are "stone fruits" but thankfully, she didn't have an issue with them. I'd like to point out that before treatment, I would have been entirely too scared to try such fruits. I grew fearful of food, in general, feeling that they are all "guilty until proven innocent," but being in treatment with Dr. Li has boosted my confidence levels and is easing my food anxieties, little by little. As time on treatment goes on, I feel my daughter's immune system is stronger and not so reactive. We've tapered off daily antihistamine use and drastically reduce the number of "as needed" doses. My daughter was taking daily a/h for about 3 years prior to tapering off. It was a very slow, gradual process. We've discontinued the regular use of topical corticosteroids. In these 18 months, we only had to use one a single time, when she developed a rash from a waterpark "kiddie pool," in the earlier months of treatment. We've also tapered off topical hydrocortisone ointment. I hadn't realized how often I was relying on it! My daughter is "eligible" to taper off her daily Qvar asthma medication. This is due in large part to the effectiveness of Qvar, whose effects we saw before starting with Dr. Li, but I wouldn't feel as confident in tapering off Qvar, without knowing that Dr. Li's treatment is working on strengthening her system for the transition. One of the things Dr. Li has said, repeatedly, is that it's not just about tapering off of medications, but being off of them and remaining asymptomatic. I've noticed a change in the nature of my daughter's illnesses. When she was younger, if she got sick, we'd hunker down for round-the-clock nebulizer use, and I felt like I was in battle-mode. A while back she got her first cold while on treatment and I was preparing for the onslaught and it was over in a day or so without needing any albuterol! She spent one night really looking sick and had a mild fever, and I put cold compresses on her forehead to ease the heat, and the next day she was already doing better. It was a bit magical. That's the only illness she has had these 18 months, though she sprouted a bit of a cough, last week, from some post-nasal drip that also went away after using Dr. Li's Cough and Cold Teas. So, I feel that things are moving right along and I look forward to the future! I feel so remiss in my reporting, so if anyone has any questions, please let me know! Edited to add: I totally forgot to add that we also saw our first "negative" (<0.35) value and it was for walnut! I hadn't added it to the chart, because I only tested walnut, once, at 18 months, and again, during this most recent round, so I can't tie it directly to the treatment time frame, but it's still an exciting development. It is on the list for future challenges/additions, but further down ahead of some other foods.